Pregnancy diabetes can sometimes interfere with the smooth progress of a pregnancy. Fortunately, certain measures can help to control it. Diabetes can develop at any age. It is defined as an increase of blood glucose (blood sugar levels in the blood), also called “hyperglycemia.” There are three types of diabetes: type 1 diabetes, type 2 diabetes, and pregnancy diabetes (or gestational diabetes). The latter differs from the others because it develops during pregnancy, lasts throughout it, and usually ceases after childbirth. Pregnancy diabetes is not uncommon, it affects roughly 3 to 20% of pregnant women in Canada. Due to the consequences it can have on the mother and the foetus, screening is done in all pregnant women between 24 and 28 weeks of pregnancy, sometimes sooner. If you have similar symptoms or any other unusual symptoms at any time during pregnancy, consult a doctor. Optimal blood glucose management as soon as you know you are affected by pregnancy diabetes will limit the consequences of the disease. The key therapeutic objective for pregnancy diabetes is to manage blood glucose so it remains within a healthy range. The first step in achieving this is to make some lifestyle changes. A healthy diet can make a big difference, and in some cases, avoid the use of medication. 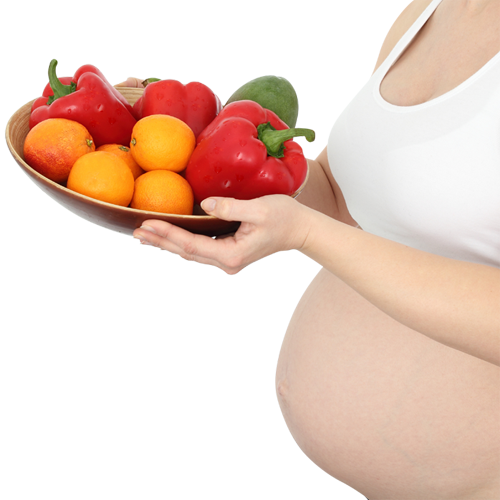 However, it is very important not to choose a diet that excessively reduces calories, as this could affect the baby’s growth. Regular physical activity is also beneficial, as it contributes to the mother’s general health and helps to maintain blood glucose. Despite applying the previously mentioned measures, blood glucose may not be low enough. A drug treatment must be considered promptly. The medication often used to treat pregnancy diabetes is injectable insulin. It has been shown that insulin is safe and effective during pregnancy. In order to achieve balanced blood glucose levels, you must closely monitor your blood glucose using a small device (blood glucose meter). Choose a blood glucose meter that's right for you, according to your tastes and lifestyle, which will make monitoring much easier. Your pharmacist can provide information, so you can make the most suitable choice. In sum, pregnancy diabetes must not be taken lightly, as it is both yours and your baby’s health that are at stake. Speak to your pharmacist for additional information about pregnancy diabetes and its treatment.